One of my favorite pieces! 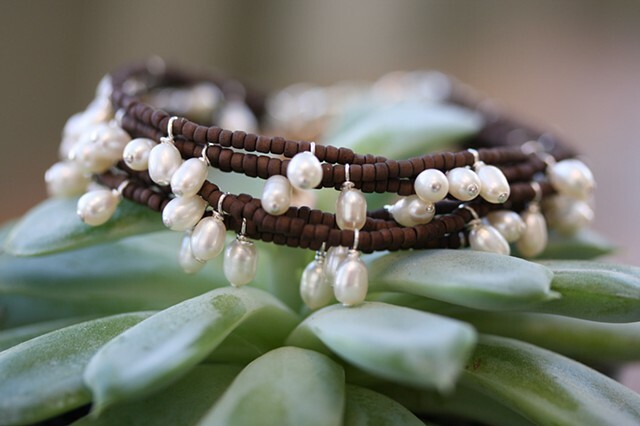 A lot of work goes into this sweet bracelet, with seven strands of matte brown seed beads interspersed with a spray of fresh water pearls on sterling (pearl shape may vary between round and oval depending on availability). Other seed bead color available. Sterling lobster claw closure with 1" extender/pearl charm. Approx. 7 1/4-7 3/4"